With the commotion of the holidays settling into a lull, a different kind of commotion grips the month of January. This month sees the highest rate of divorce filings all year. While it may not be as “merry” as the festivities of the month that preceded it, January and its tide of divorce paperwork may be tinged with another feeling – relief. Often, those who are seriously weighing the possibility of divorce are those who already need one. The longer you stew in an unhappy marriage, the more of your own time you ultimately waste – time that could’ve been spent pursuing passions and people that make you feel refreshed and revitalized. It’s not written anywhere that you must consign yourself to the misery a dead-end marriage. If you are considering getting a divorce in a New Hampshire, immediately contact the attorneys at Tenn And Tenn, P.A. Not only will we protect your rightfully owned assets and guide you through the terrain of divorce, but we will do so with honesty and professionalism, treating all sensitive matters with the utmost discretion. CNN declares, “In January, “ex” marks the spot.” Business Insider calls January “Divorce Month.” What is it about the shining promise of the New Year that hikes the divorce filing rate up by over a third? “While marital psychologists and divorce lawyers say January’s more accurate description would be: “I’m Starting to Research My Options Month,” they agree there is some accuracy in the nomenclature.” says CNN. Search inquiries on FindLaw for the terms ‘child custody’ and ‘divorce’ shoot up immediately after December. Simple conjecture may lead one to assume that the holidays act as a sort of pressure cooker, compounding the stress of finances, extended family visitation, and longer hours spent together – creating a sort of a perfect storm that reaches a boiling point – things inevitably explode. Then come the tide of inquiries on search engines and lawyers’ phone lines. But more commonly, many disgruntled spouses may have long been considering a divorce, forced to wait for the next round of holidays to pass before they can get the ball rolling. For couples with kids, this is usually an especially critical point. Holiday bonuses may also play a role in the January jump, as spouses are more financially equipped to set about getting their divorce. Psychiatrist Mark Banschick points out that January and the beginning of the new year amount to an “existential moment” for many, allowing them to reappraise the value of their marriage, finding it may no longer serve them on many levels. Another side issue is that court time is simply scarce from Thanksgiving to New Years. Sadly – truthfully – domestic bliss is not the outcome of every marriage. If you find that your marriage no longer fulfills you in the way it once did, contact an experienced New Hampshire divorce attorney immediately to begin discussing your situation. The attorneys at Tenn And Tenn, P.A. 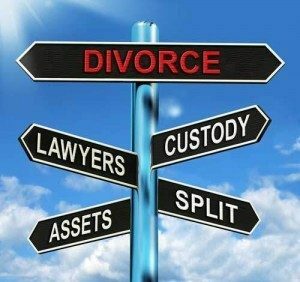 can help you maneuver the complicated procedures of divorce. Do not wait. Tagged: nh divorce lawyers and Nh Trial Lawyer James Tenn Jr.